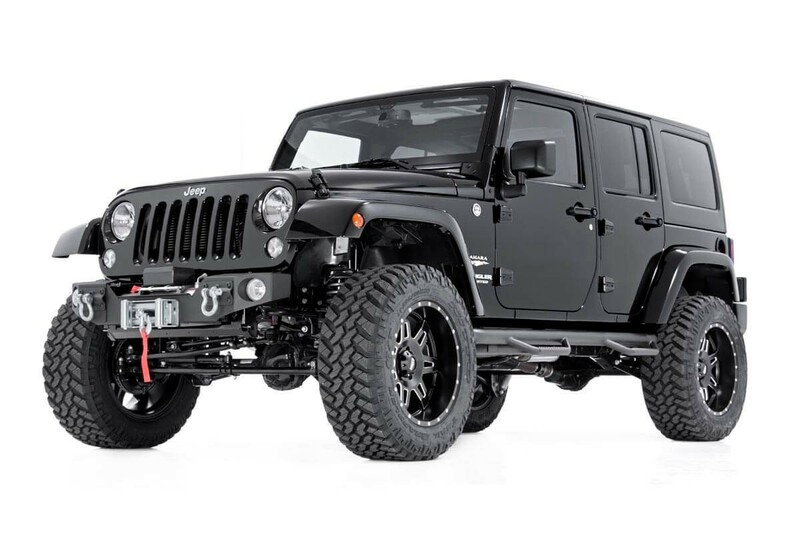 In a perfect world, JK owners would combine the durability and strength of a winch bumper with the affordability and low weight of a winch plate. 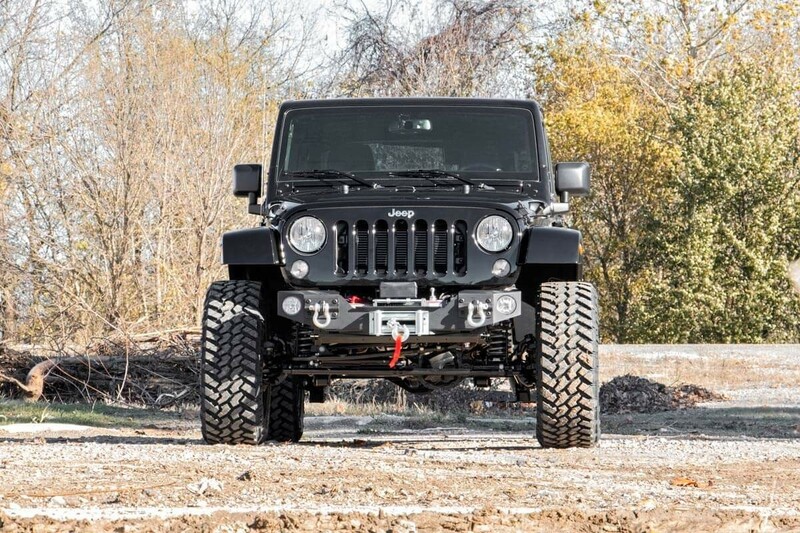 Thanks to Rough Country, you can live in that world with the all-new JK Hybrid Stubby w/ Integrated Fog Light Mounts. 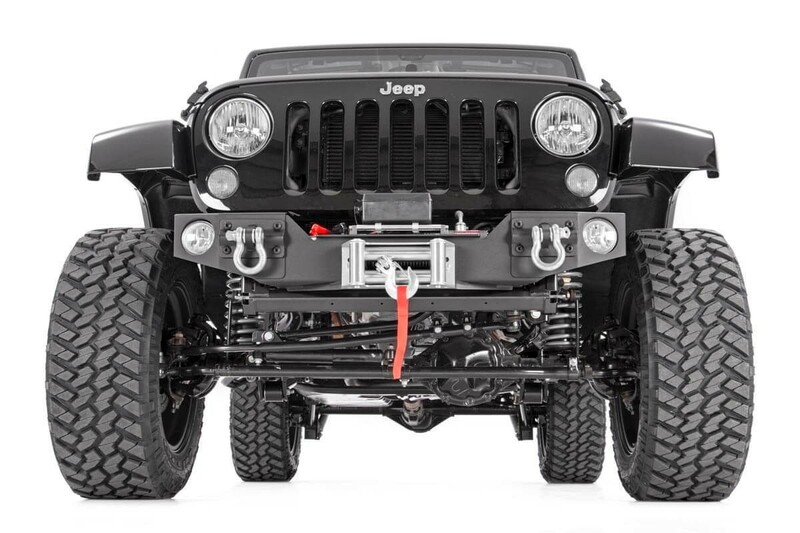 Utilizing an innovative design scheme, Rough Country's Research and Development Team has produced a new type of winch bumper that borrows the best from both sides while remaining easy to install and easy on your wallet. 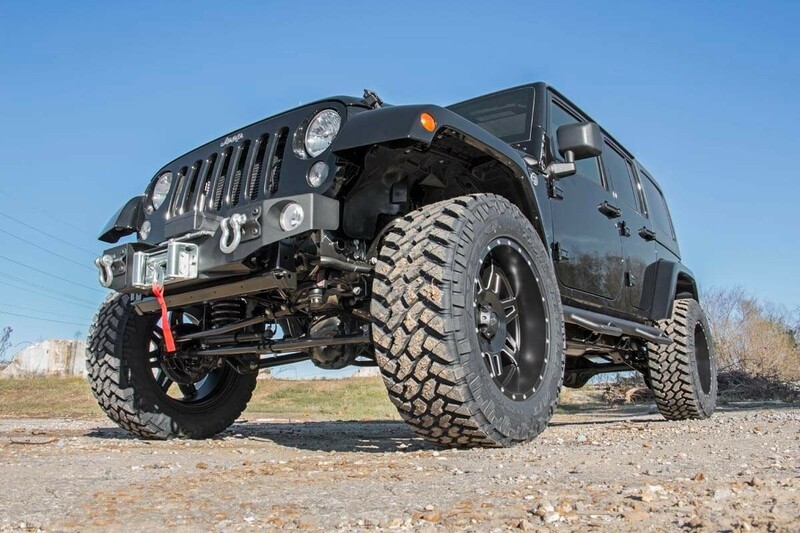 The JK Hybrid Stubby features a thick plate steel center with an integrated winch mount. Two steel end caps with integrated fog light mounts help further protect the winch, partially encasing it - but the real success of this design lies in the fact that these end caps are removable, offering plenty of clearance to easily install or remove the winch. 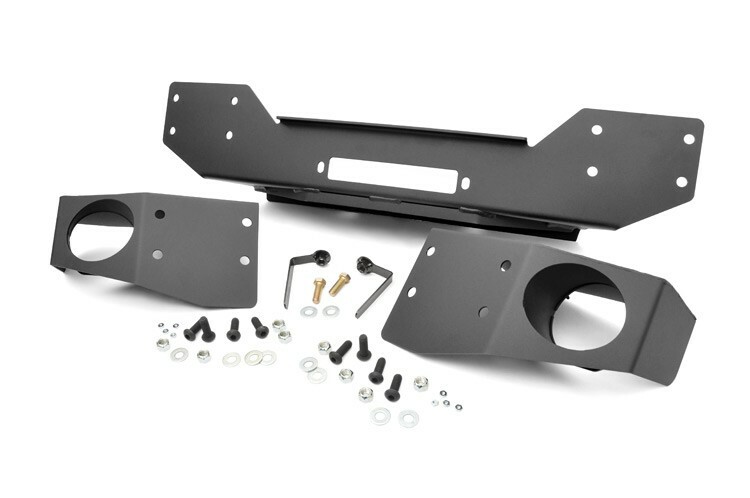 Mount your fairlead to the outside and the result is an easy-to-install winch protection system. 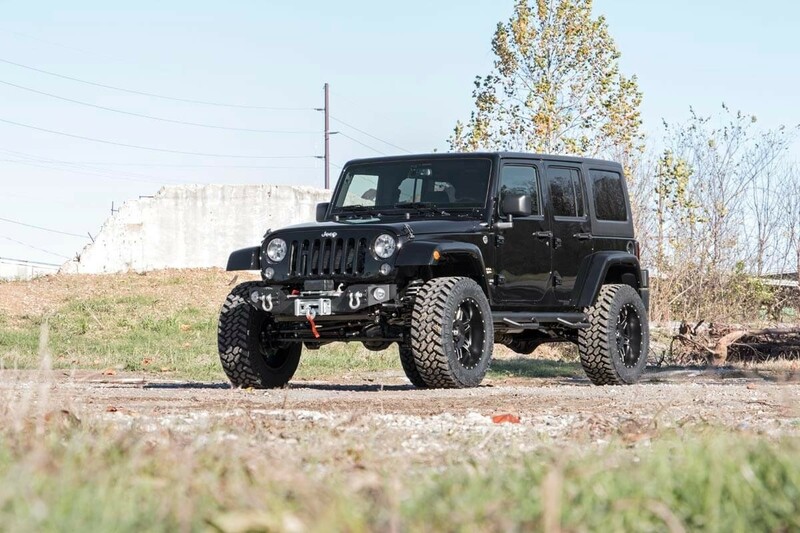 Best of all, The JK Hybrid Stubby weighs in at a mere 40lbs! How's that for not bogging you down? Fog mounts work with factory fog lights. Gain more tire clearance and achieve better approach angles. Fairlead mounts to the outside of the bumper for ease of use. 2012-2016 models REQUIRE brake pump canister relocation bracket (#1043), sold separately / available below.